Why do I want to start a chapter? You want to help others learn more about the field of computer graphics and interactive techniques (through presentations, lectures, etc.). You are interested in establishing connections with other professionals in your area (educators, researchers, animators, etc.). You want to encourage a greater sense of community within your area among those working in digital media. You had a great time at one of our conferences, and you don’t want that feeling to end. Starting a chapter can be a rewarding experience, but it also takes a great deal of work and commitment. Understanding “why” may help you through some of the trials and tribulations that you may encounter along the way. Outlining your reason(s) will also help you explain to others why you want to start an ACM SIGGRAPH Professional Chapter. Is there enough interest in my geographic area to sustain a chapter? Identify specific people at local institutions, companies, schools, etc. and contact them . 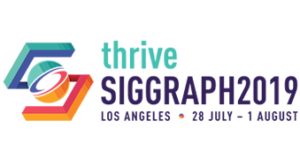 Contact the ACM Local Activities Coordinator to find out about ACM SIGGRAPH and ACM members in your area. ACM can send an email on your behalf to all ACM and ACM SIGGRAPH members in your geographic area. Ask the ACM SIGGRAPH Chapters Committee Chair whether anyone from your area stopped by the Chapters Booth at the most recent SIGGRAPH or SIGGRAPH Asia conference and expressed interest in helping with a chapter in your area. Compile an email list to which you can send an introductory message. Contact user groups in your area to see if they’ll make an announcement on your behalf to their membership (or let you do it yourself). Will I be able to assemble a team to manage the chapter? It is true that often you, as the founder of the chapter, will be doing a lot of work on your own. But the sooner you can get others involved, the sooner you can share the workload with others. You may already have people in mind to help you get started. They may be people from work, from a special-interest or hobbyist organization that you belong to, or others you know in your area. These are people that you will want to speak with as you organize your first organizational meeting. Get their ideas and suggestions and, most importantly, make sure they attend your meeting! Caution: Try not to get all of your leaders from one specific group. For example, if there are a number of colleges or universities in your area, try to get representatives from as many of the schools as possible. The same thing goes for companies – especially yours! If the chapter looks like a ”front” for a particular company or institution, people may not be as willing to get involved with or even attend chapter functions. In the long run, this can also create problems for ACM SIGGRAPH, and the last thing any of us wants is conflict among people who are excited about starting a chapter. Why is this person interested in getting involved with the chapter? What ideas does this person have for the future of the chapter? How can this person help, in which areas? How much time can this person contribute on a regular basis? Does this person work well with others? Does this person understand the concept of working together as a team? Does this person have any specific skills that will benefit the chapter? How much has this person contributed to the chapter effort so far? What can the chapter offer this person to make the experience worthwhile? Use your own intuition and common sense as you meet and evaluate individuals. The questions above are only intended as a starting point. What role do I wish to play in the chapter? As the founder of the chapter, you need to think about your involvement with the chapter beyond the chartering stage. Are you interested in being the president of the chapter? Or do you wish to maintain a lower profile? Maybe organizing events is really what you’d like to do or maybe it’s working with the volunteers. Whatever it is, having a sense of your role in the chapter will help you move the chapter through the chartering process.